Ether (ETH) was hit harder than Bitcoin (BTC) in the mid-January pullback. The ongoing concern about whether or not many of the ICOs funded with ETH will be designated as “securities” continues to hang over the market. The SEC’s delayed decisions about which coins will have to meet the regulatory requirements is likely a factor. The continued uncertainty and low ETH prices are causing difficulty for more development teams behind these coins. Many are struggling to continue funding their operations and development efforts and some are simply running out of money. Selling their ETH to continue supporting themselves is putting downward pressure on price, further deepening the problem. Many of the ICO companies also face regulatory fines and the threat of having to return money to investors. The requirement to pay fines and to return investors’ money has put a strain on the market and ETH’s price suffers because of it. A second reason ETH likely got hit harder last week is because it rallied stronger than other coins in December in advance of its expected major upgrade, Constantinople (a hard fork). It’s common for a crypto coin to rally ahead of an upgrade as investors get excited about expectations for improved performance. Following the initial excitement in front of a hard fork there is worry about how well the changeover will go. Traders turn a little more cautious and typically want to cash out before the actual fork happens. This creates some selling pressure that usually starts about 10 days prior to the fork. The cutover to Constantinople is going to be January 16, so 10 days prior to that date is January 7th. That’s the day ETH started to tumble back down. Once a successful hard fork is completed it is typically followed by a rally as traders jump back in. So far, that scenario is playing out for ETH and we’ll soon see whether or not a new rally leg will get started after January 16. I think it will. Back to the “security” question: It’s a good time to review again the SEC’s questions and issues regarding digital assets like cryptocurrencies. Some of the coins in our portfolio will be affected by upcoming decisions from the SEC or Congress. There’s no way to predict what will happen to many ICOs and the companies behind them. I’ve been reluctant to use the uncertainty surrounding this question as part of the selection criteria to ascertain whether or not a crypto should stay in our portfolio. At the moment it’s simply part of the risk assessment for each coin. My risk assessment for each coin is based on factors we can assess. I refer to it as PIQUR: People, Insider Information, Quality of code, Utility of the coin or token, and Realism. You can find the full explanation of each factor in the May 2018 newsletter. Keep in mind that Congress is going to debate, hopefully sooner rather than later, whether cryptocurrencies should be defined differently than non-digital assets. There’s clearly a need for some new definitions now, given the fact that current laws and regulations are nearly a century old. There are expectations of profit. Most of the ICOs, especially those created during the frenzy that occurred in 2017, meet the definitions of a security and until Congress changes the law the SEC must rule the way they are. There are coins that do not meet the above requirements, such as BTC and ETH. Since there is no single entity controlling what happens to either coin, or its price, they are closer to assets such as gold, commodities, and currencies. In fact, it’s why many argue digital assets should be defined as currencies, not as securities, like stocks and bonds. Existing securities laws definitions are based on what’s called the Howey test. The test resulted from a Supreme Court decision in 1946 when the Howey Company of Florida challenged the interpretation of the Securities Act of 1933 and the Securities Exchange Act of 1934. Unless Congress redefines digital currencies, cryptos are being defined by those acts and the 1946 Supreme Court decision. The “Token Taxonomy Act” that was recently introduced by Warren Davidson (R-OH) and David Soto (D-FL) is meant to address this issue and create a new category for digital tokens. It would redefine tokens that are meaningfully decentralized as non-securities, such as ETH. Congress needs to debate how to change the existing securities laws. That debate will revolve around the question of whether a single entity has control of the price of a token. Ethereum, for instance, was exempted by the SEC because its price is not controlled by a single team of people. It’s in the public domain and there are many teams of people contributing to the Ethereum effort. The prices of many ICO tokens are in fact controlled by one company or team and how well the company or team performs. 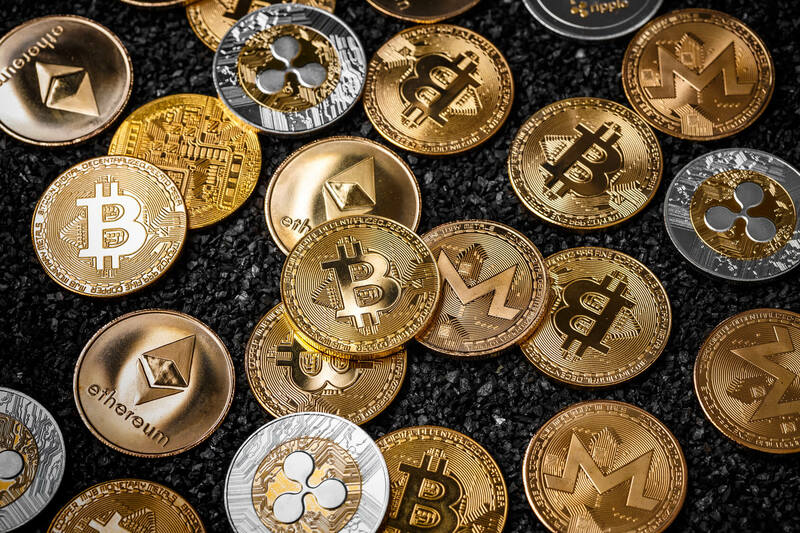 A law that rewrites a portion of the 1933 and 1934 acts regarding how a digital currency is defined would mean decentralized tokens are exempt from a securities designation. Coinbase, a top regulated cryptocurrency exchange, has a strong legal team. It believes that the SEC has a broader definition of the Howey test and its application to ICOs. Coinbase has recently added many new coins to their exchange and believes those coins do not meet the Howey test. Currently Coinbase lists BTC, BCH, ETH, ETC, LTC, and ZRX as fiat markets. Their crypto markets include USDC, BAT, ZEC, MANA, DNT, CVC, LOOM, GNT, DAI, MKR, and ZIL. Several coins that Coinbase trades are ICOs and the Coinbase legal team believes they do not meet the definition of a security (that is, they don’t meet the Howey test). It will be interesting to see how it all shakes out.